Are you ready for New Year’s Eve? 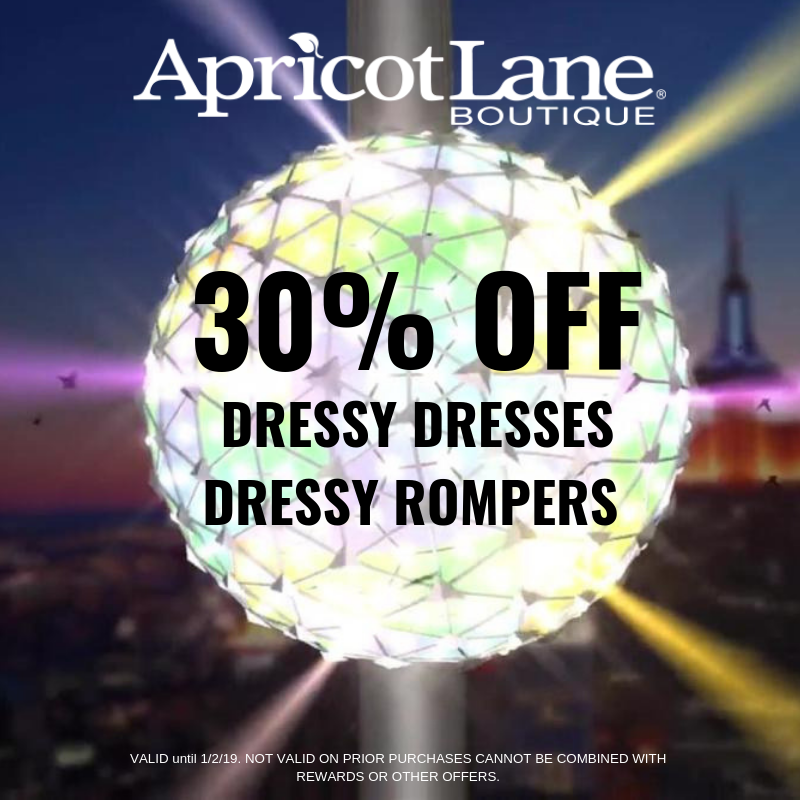 Apricot Lane Delray Beach has 30% off dressy dresses and dressy rompers. Let the celebrations begin! Valid through 1/2/19. See an associate for details.